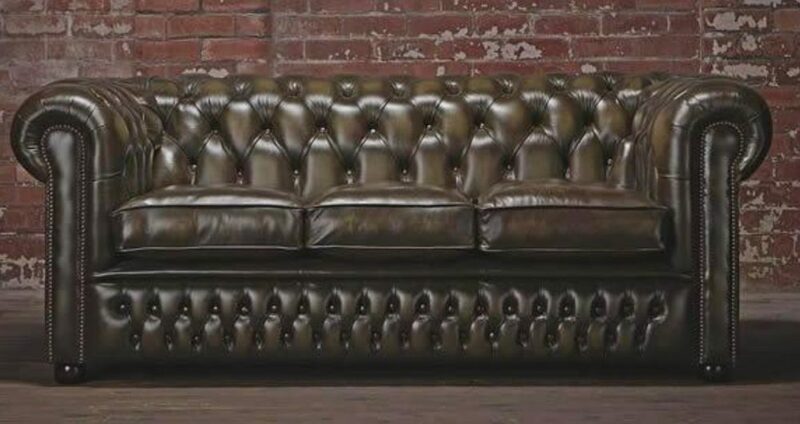 British sofa brand Chesterfields has launched a vegan leather line of iconic Chesterfield sofas in a bid to meet growing demand. The new line is a departure for the company, which is best known for its animal leather range of Chesterfields which it has been making for more than 25 years - a design which was commissioned in the 18th century by the fourth Earl of Chesterfield. The new chairs, which are made from faux leather, are stuffed with animal-free foam and bonded with vegan-friendly glue. "In recent times our company was receiving more and more enquires for a sofa with the look of the classic Chesterfields but made without leather," Callum Tombs, Sales Director at Chesterfields of England, said. "We currently produce a range of sofas in velvet and wool but have decided to make a range in environmentally friendly faux leather to satisfy demand. "This range and all ranges going forward will use no animal products in either the glues or foam used in the frame or padding, two areas where other manufacturers especially ones abroad are still using animal products. The full range of leather sofas will still be available, with lots of exciting additions for the coming seasons."